Break out of using the same old recipes for your next tailgate — add some umami with a delicious teriyaki chicken-based dish. Umami — the Japanese word for a pleasant, savory flavor, is the fifth flavor category — after sweet, spicy, salty, and bitter. It’s considered to be a significant component of any dish’s “deliciousness” level, and teriyaki chicken has it in spades. 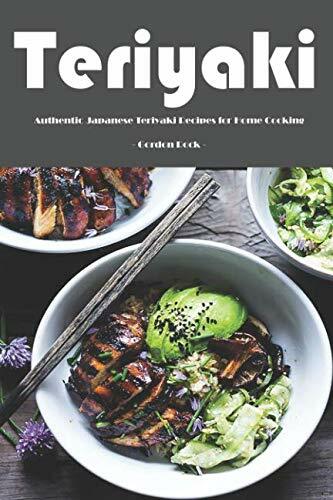 The word “teriyaki,” according to the Japanese, refers to meat that’s been marinated in a special sauce and then grilled or broiled, typically over hot coals. 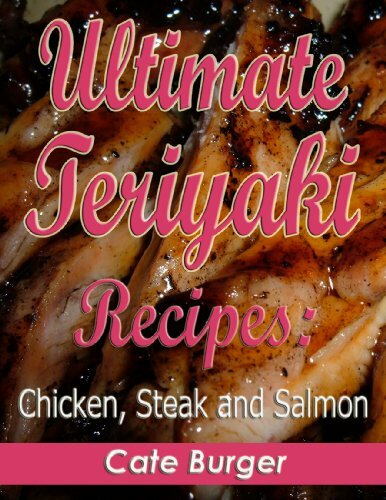 Today, the word “teriyaki” is used for any food that’s been marinated in this piquant sauce. Typically, your meat — in this case, chicken — will marinate in this mixture for a half-hour or more before you cook it. When you reduce this sauce, it takes on a wonderful sticky, glossy aspect that’s perfect for serving on the side as a dipping sauce. Teriyaki chicken can be a finger-food or a full-on entrée, depending on how it’s prepared. Either way you cook it, however, teriyaki chicken is an easy — and delicious — addition to your tailgating menu. Let’s start with an appetizer recipe that’s simple to make and full of umami goodness. Food Network star Guy Fieri makes a marvelous teriyaki-based sauce for these wings that will give you over-the-top Asian flavor. Best of all, this recipe can be started at home and finished at the game. Preheat a grill to 350 degrees F, prepared for indirect heat. Add all the wings and cook for 10 to 15 minutes to reheat and get some grill marks, turning after 7 minutes. Remove the wings from the grill to a serving bowl. Add the sauce and toss to combine. These wings will literally fly off the grill as your tailgating friends won’t be able to get enough of their saucy-sweet goodness. If you’re ready for a little more substantial nosh, think out-of-the-box with this tailgating sub created with teriyaki chicken by another Food Network star, Jeff Mauro. Place the chicken breasts between two pieces of plastic wrap and pound to about 3/4 inch thick. Remove the plastic wrap, then combine the chicken and teriyaki marinade in a large freezer bag and refrigerate 1 to 2 hours. Preheat a grill to medium high. Mix the mayonnaise, Sriracha and scallions in a bowl; season with salt and pepper. Grill the pineapple slices until charred, about 2 minutes per side. Remove the chicken from the marinade and season with salt and pepper. Lightly oil the grill grates with the vegetable oil using a paper towel or silicone brush. Grill the chicken until cooked through, 5 to 7 minutes per side. Coat in the toasted sesame seeds and then thinly slice on the diagonal. Schmear the mayo mixture on the baguette top. Layer the chicken on the baguette bottom. Top with the grilled pineapple, cabbage and the baguette top. Cut into individual sandwiches and serve with more teriyaki marinade. This unusual take on a typical sub sandwich will be a big hit with the whole gang. Plus, it’s easy to serve and to eat. Can’t decide between meat and carbs? Have both with these bite-sized sliders packed with all the flavors you love — creamy cheese, sweet teriyaki, and tender chicken all served up on a delicious Hawaiian roll. The Daily Meal shows you how, below. To prepare the chicken, place the chicken breasts, garlic, ginger, scallions, and pineapple into a slow cooker. In a separate bowl, combine the chicken stock, soy sauce, sesame oil, and brown sugar. Whisk together to combine well. Pour this over the chicken, make sure everything is submerged, then cook on low for 6-8 hours. To prepare the macaroni salad, bring a small pot of salted water to a boil, then add the macaroni. Cook for 10-12 minutes, until the pasta is fully cooked and soft. Drain the pasta and allow to cool slightly. In a small bowl, combine the mayonnaise, sour cream, and celery salt. Whisk to blend well. Then, combine the cooked macaroni, grated carrot, and chopped green onion in a mixing bowl. Add the dressing and toss everything together until well-combined and the pasta is completely coated. Cover and refrigerate until ready to serve. When the chicken is done cooking, separate the cooking liquid and the chicken. Shred the chicken and combine with as much of the cooking liquid as needed to keep the chicken moist. To make the teriyaki glaze, heat the sesame oil in a small saucepan over medium-high, then add the chopped garlic, ginger, and pineapple. Sauté until aromatic, about 1 minute. Next, add the brown sugar, soy sauce, mirin, and 2/3 of a cup of water. Stir to combine well, then bring the mixture to a simmer. In a small bowl or measuring cup, combine the remaining 1/4 cup of water and 1 1/2 tbsps. of cornstarch. Whisk together to make a slurry. Once the teriyaki sauce has come to a simmer, pour the cornstarch mixture into the saucepan, stir, and cook for 2-3 minutes until the sauce thickens into a glaze-like texture. Strain into a bowl and set aside until ready to serve. To assemble the sliders, cut Hawaiian rolls in half and lightly toast. Transfer to a serving platter. 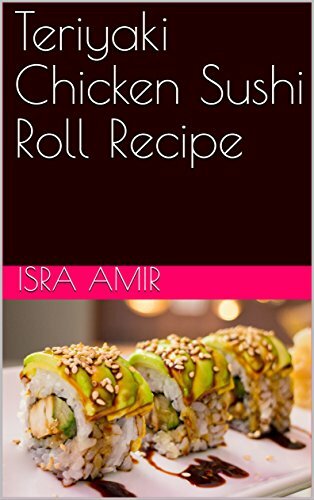 Place shredded chicken on the bottom halves, then top with teriyaki glaze, macaroni salad, and top halves of the rolls. While this recipe may seem prep-heavy, it’s actually pretty easy to prepare and comes together quickly. Surprise friends and family alike at your next gameday meal with a burst of umami from any of these teriyaki chicken recipes. Full of flavors that satisfy, these recipes will add a welcome twist to your tailgate menu lineup, without breaking the bank.